Where does citizen participation factor into the process of reviewing government performance? Public participation is a necessary part of managing government performance to ensure that all citizens have the opportunity to be represented. If we subscribe to the mantra of “what gets measured gets done,” then citizens must be involved with establishing what is being measured. As is often the case, government can learn from an example developed in the nonprofit sector. United Way has served as a model for performance measurement since their network-wide implementation of performance measurement which predates the Office of Management and Budget’s Government Performance and Results Act (GPRA). More recently, United Way has begun to broadly consider how they can impact and measure community development based on feedback from members in the community. How well does United Way mobilize its collective resources for community impact and how can the organization measure it? In the competitive funding environment that nonprofits are currently experiencing, it is no longer enough to show organizational performance measures. Nonprofits like United Way must demonstrate cross-sector collaboration and coordination in achieving its mission work. United Way is not alone in this challenge. Linking outcomes to communitywide impact is difficult as there are many factors that can affect the outcome. Furthermore, there is disagreement about a clear definition of community development and how it happens. Even with a clear logic model, community-wide causation is elusive in practice. Stakeholders are an important inclusion in this new configuration. In United Way’s shift to impacting community level development, they have adopted an engagement process to understand the values and aspirations of the community. Because each community is unique, United Way’s across the country engage in Community Conversations to hear what their neighbors are talking about. United Way partnered with the Harwood Institute to develop a method for conducting Community Conversations. The questions are structured to solicit participants’ aspirations for the community. Community Conversations provide valuable feedback about how United Way is addressing issues in their neighborhoods. Citizens who participate in Community Conversations feel engaged in the larger process because they are contributing to the organization’s understanding of the community. Participating in a community conversation in the public sector can provide a citizen with the opportunity to participate in government in a more interactive way than simply voting. A public administrator may be establishing metrics for measuring performance based on mandates or the measurability of the activity. 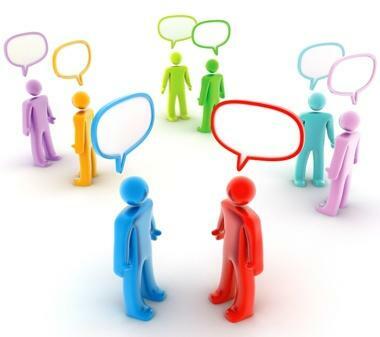 However, a community conversation is a format that can inform an administrator’s selection of what they are measuring (i.e., what they are doing). A community conversation is different from a town hall meeting because it is presented as an opportunity to reflect on the community’s shared aspirations rather than a political exercise. Discovering shared aspirations of the community may help produce a community narrative and, ultimately, help get things done. The process is just as important as the outcome. The process of engaging in community conversations and communicative planning can be beneficial for building trust. At a time when trust in government is in short supply, a community conversation is a generative process that can elicit authentic participation. When stakeholders are consulted in the process, they may have more buy-in to the product. Citizen participation in government is difficult, expensive and inefficient. In SherryArnstein’s famous Ladder of Participation, she warns that citizens can be reduced to tokens and their participation can be just symbolic. While many aspects of public participation may be considered as symbolic, the process of engaging citizens serves a purpose for advancing democracy. Symbols are an important part of the American political structure. If citizens think their opinions are considered in the decision making process, then the process is often considered legitimate even if the outcome differs from their expectations. The knowledge that is generated from community conversations can help determine if government is focusing on (by measuring and doing) the issues that represent a community’s aspirations. This approach to performance management is exciting because it provides citizens the opportunity to determine what is getting measured and what is getting done.